By keeping track of your body, including your menstrual blood, you will have a better grasp on how your body works and how to keep it healthy. In fact, it is one of the easiest ways to determine what is happening with your body, both good and bad. Blood that is brown or a very dark red is simply old blood. Most times your cycle will begin with this type of blood, and it may even look black. Periods start slowly, so it can take a while for that blood to actually exit, hence the color. Very dark, even brown blood is nothing to worry about and is completely natural. As your cycle moves towards the middle and end, you will notice the blood change to a lighter red, or even pink color. Again, this is normal and is very common. This is blood that is fresher that what previously appeared during your cycle. Blood that looks almost grey or milky in color should be taken a lot more serious. If you have this color of blood during your cycle, it could mean that you have an infection. Two of the most common infections that can cause this blood color are yeast infections and bacterial infections. Orange menstrual blood can mean that your blood has mixed with cervical blood, which will appear almost orange with red flecks. It can also be a sign that you have an infection. If you see orange blood frequently, or the blood has a foul odor to it, it is most likely that you have an infection. If you see grey or white tissue in your blood, then you may want to take a closer look. It could just be part of the shedding from your uterine lining. It could also be signs of an ectopic pregnancy or a hormonal imbalance. You may only have this symptom once, and then never again, which is common. Related Link: Is a Brown Discharge a Sign of a Disease? What Are Some Natural Remedies? When your menstrual blood has changed color, and you think you have an infection, there are plenty of things you can do. You don’t have to shell out tons of money to see a doctor or pay for drugs. 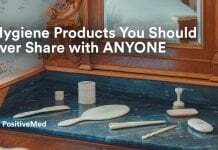 Sometimes you don’t even need to go to the store and buy those over the counter ointments or lotions. There are natural remedies that are healthy for your body and completely effective. Yogurt contains the good bacteria that your body needs to fight off infection. Just eating yogurt can give you what you need to safely and naturally fight off the infection. You can even apply the yogurt directly to the infected area. Even if the yogurt does not help the infection, it still contains plenty of nutrients and bacteria that are good for your body. While acid in the name might make you shy away, boric acid is a highly touted home remedy to help with infections. In fact, when taken as needed, it is shown to have a very high success rate when it comes to treating both yeast infections and bacterial vaginosis. Garlic is shown to have many anti-fungal properties. Many infections, such as a yeast infection, are actually just a fungus. Some women recommend placing garlic cloves right on the infected area overnight. 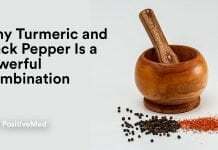 In this case, it also won’t hurt your pH balance to use garlic as a natural remedy. 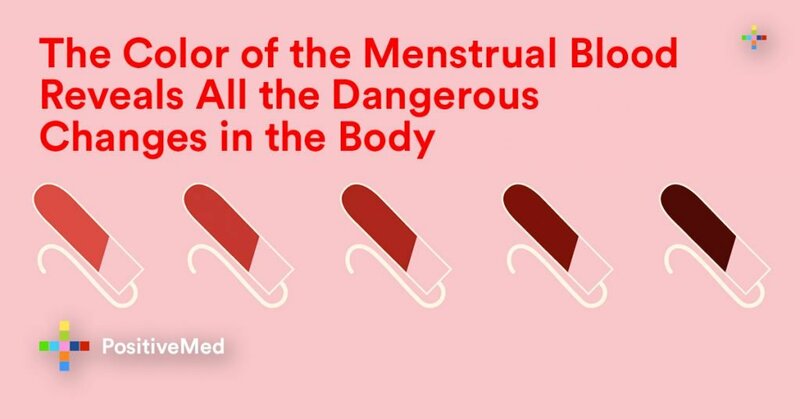 When you want to know what’s happening with your body, the color of your menstrual blood can tell you a lot. In the case that something is happening in your own body, there are a variety of ways that you can naturally and effectively treat it. Previous articleEnergy Drinks – How Bad are They for Our Health?